Hip hop and flamenco both feature in an ecclectic, exciting new Spring season by DanceXchange, the Birmingham-based contemporary dance house. Highlights include performances by the all-male 2Faced Dance and Charlotte Vincent's Vincent Dance Theatre, along with a thrilling hip hop, basketball-inspired production from award-winning director Benji Reid. All performances take place at the intimate Patrick Centre, inside Birmingham Hippodrome, between March 4 and May 16. The season begins with 2Faced Dance performing Dreaming In Code from March 4 - 7. Featuring music by Tony-nominated composer Alex Baranowski, the production is said to be "a breath-taking collision of kinetically charged dance and theatre" that explores what the future could look like. It has an age guidance of 11 years and over. Award-winning choreographer Tamsin Fitzgerald and Eddie Kay, of Frantic Assembly, present an explosive, visceral, brand-new double bill performed by one of the UK's most innovative male dance companies. Moving on, Vincent Dance Theatre presents 21 Years/21 Works on March 18, as part of a celebration of the work of ground-breaking artistic director and choreographer Charlotte Vincent. This atmospheric production creates a unique show by bringing together three thought-provoking experiences - live, on film and online. UnderWorld is a powerful, atmospheric ensemble performance which draws on the myth of Orpheus & Eurydice and Vincent Dance Theatre's seminal production Broken Chords. The physically punishing choreography is performed in a loop that visually transforms the space over and over again through a series of striking cinematographic images and intimate, moving vignettes. All the while, audience members are able to enter and exit at any time during each session to look at other activities that are taking place simultaneously. These include the Archive & Engagement Space, where visitors can explore and respond to images, sketches and videos from Vincent Dance Theatre's past productions, exploring female performance practice and issues of gender equality. There's also the chance for the audence to view the absorbing dance film Glasshouse, which was conceived and performed by Charlotte Vincent and Forced Entertainment's Richard Lowdon and made with filmmaker Robert Hardy. Meanwhile, Idiot-Syncrasy is a dance production from Igor and Moreno, which explores male identity and relationships. Two performances take place on March 26 and 27. The production features two physically similar performers who are shown to be radically different while accompanied by a hypnotic soundtrack and live singing. It reinterprets Sardinian and Basque folk traditions from a contemporary, fun perspective, like the dancers holding shot glasses to toast with the audience. Spain is also the theme for the performance of Cadiz by award-winning flamenco star Jesus Ana Garcia Fernandez on May 6 and 7. Recreating the sounds and heat of Spain through dance, Ana Garcia's Flamenco Edition '15 is a nostalgic view of the flamenco dancer's home town to the sounds of original flamenco music. Dancer Jesús is joined on stage by four outstanding artists hailing from Cadiz - Miguel Rosendo (Cante/vocals), Jesús Nunez (Guitar), Israel Mera 'Katumba' (Percussion) and Anabel Moreno (Palmas/clapping). The spring season draws to a close with a theatre production merging poetry with hip hop from Fuel and a work entitled The Spalding Suite. Shows take place from May 14 to 16. Conceived by Inua Ellams, and directed by award-winning hip hop luminary Benji Reid, The Spalding Suite is inspired by the UK's basketball sub-culture. Six dynamic performers mix live beatboxing, hip hop, music, moves and poetry, taking us from the fleeting high of the score and the robust camaraderie of the team, to the poignant lows of a body too worn to play the game. 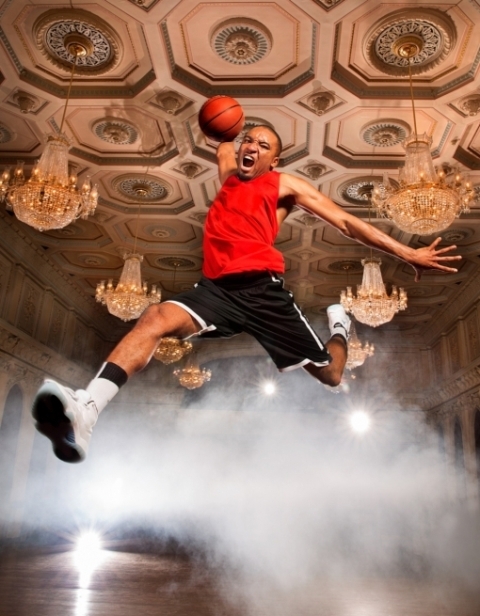 Fresh poetry is combined with contemporary movement celebrating the elegance and beauty of basketball. Seen from a British perspective, The Spalding Suite gets to the heart and soul of the gravity-defying game and delves into the hopes and dreams of those who play it. David Massingham, DanceXchange's artistic director, speaking on the new season of productions, says: "We continue to build on the success of International Dance Festival Birmingham and once again present a diverse line-up of performances for the ever-growing Midlands' dance audiences. This is an important season which maintains the interest in contemporary dance." 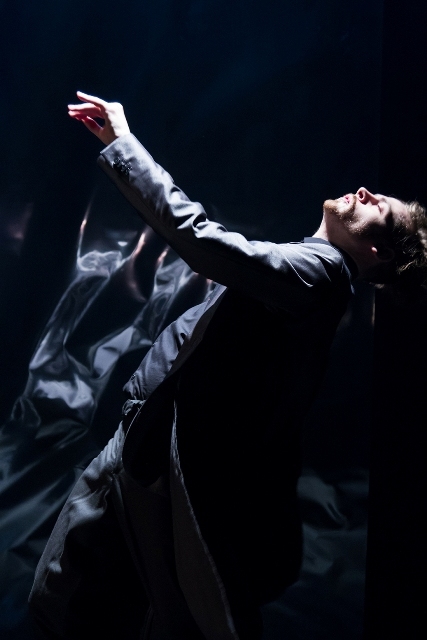 DanceXchange is going from strength to strength and celebrated a record-breaking autumn season in 2014, when they brought acclaimed productions including Dracula to the city. The organisation even received a UK Theatre Award for achievement in dance for International Dance Festival Birmingham 2014 (co-produced with Birmingham Hippodrome). Tickets cost from £12 through the DanceXchange website or by calling 0844 338 5000. Information on the show at 2Faced Dance website. More information at the VincentDT website. See the Igor and Moreno website for more details on the dance producers. See Flamenco Edition website for further tours. More information at the Fuel Theatre website.